Evelyn has just completed a series of art classes taught by renown Santa Fe instructor, Gary Myers, in his home studio in El Centro. 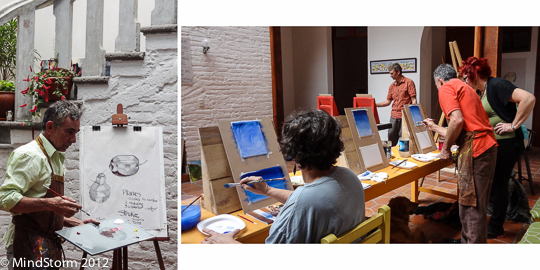 Because art materials and studio supplies are scarce in Cuenca, Gary and Arie have developed innovative tools to use. For student easels, he used wooden wedges that were being used as wheel ramps for moving goods from the street up to sidewalk level. Instead of mass-produced artist water containers, he used cut off liter soda bottles, and other found items. 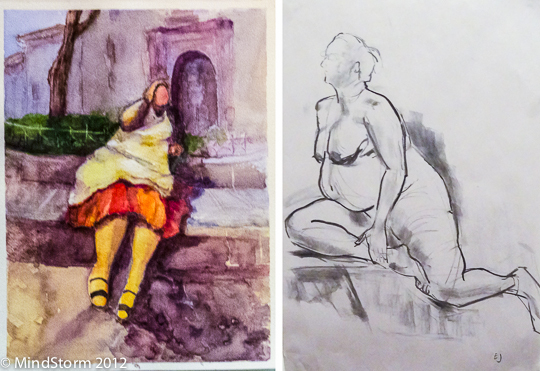 The class started with a series of basic concepts, from how to paint gradations, to demonstrating planes on still life, sketching faces from the society pages, to drawing live models, and ending with a class art show of the completed paintings. Gary has a gift for bringing out the best with every one of his students. 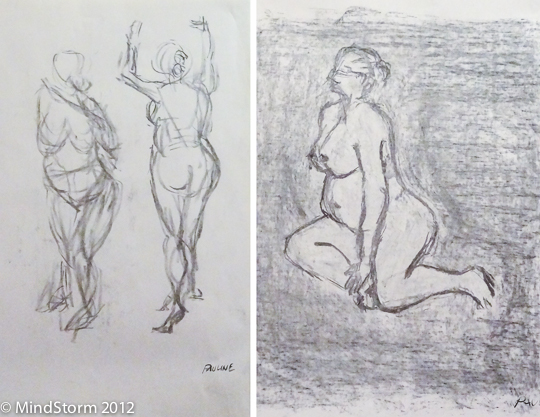 On the last class, Evelyn’s sister Pauline decided to try to draw her first live model, and her drawings show both Gary’s skill as a teacher as well as Pauline’s natural artistic talent. Evelyn highly recommends Gary’s classes to those wanting to tackle a creative endeavor as well as meeting lots of interesting characters in a fun, non-threatening environment. Totally awesome, Evelyn and Pauline! 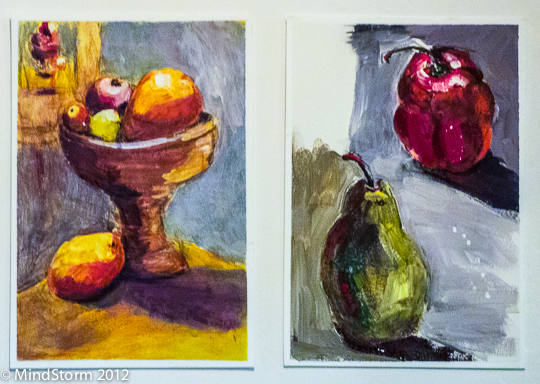 Evelyn, the paintings look really good – impressionistic, colorful, and expressive too!